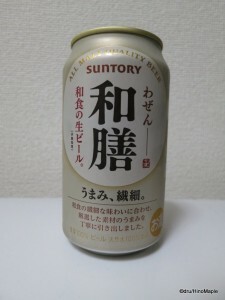 Suntory Wazen is a beer that I had been eagerly awaiting since January. Japan has toted itself as one of the best places for cuisine and while I do think Japanese food is delicious, sometimes Japanese people say they know what good food is because Japanese food plays on the simple and subtle flavours of each ingredient. When Japanese people know good food, they know good food. There is no doubt in my mind that this is true of Japanese food but when it comes to other types of food where they are not familiar with how they should taste, I have to say that they often don’t really know what is good. One area where this is true is alcohol. Sake is something that Japanese people can easily say they understand it and can produce it properly to an exact science. Few people can really make good sake outside of Japan. Whereas sake has been produced in Japan for a long time, beer is something that is still relatively new. Craft brewers in Japan are still learning how to make great beer and the commercial brewers are sticking to the basics. I won’t say it is bad beer but they can definitely improve. A lot of people will say they know beer but in reality they don’t. This is even true in N. America, but in Japan this can come with a little arrogance that is sad. When drinking the major labels of beer in Japan, I must say that it isn’t the best beer in the world but compared to American major labels, Japanese brands are pretty good. When looking at the craft beer scene, the craft beer is either hit or miss. There is a lot of bad beer but there are some gems that make it worth it when you find the one that surprises you. Wazen’s philosophy was to create a sophisticated beer that is suitable for traditional Japanese food. I heard about this a while ago and was anticipating the arrival to see what they thought was a “wa” beer. When I first poured it, it was very clear with a big head. The head disappears but not too quickly. The carbonation was nice but the smell was a bit acidic. The overall taste was a huge disappointment, but not unexpected. When they say “wa”, they weren’t joking. The taste of the malt is so subdued that you can barely taste it! I felt I wasted my money on this beer. As I kept drinking it, it started to taste a little stronger and I could taste the malts a little more. I will say that the can design is pretty good and I do enjoy the colours and relative simplicity of the can. I just wish they had more flavour rather than making me feel as if I was drinking water-beer. Suntory is a good company and they make my favourite, as of now, commercial beer in Japan. I enjoy having Suntory Premium Malts because it is the most flavourful commercial beer out there. I do enjoy Yebisu too but Premium Malts is better. I am sad to see something that could have been better be turned into something too simplistic. The people over at Rocketnews also did a review but I am surprised at their review. Maybe my tastes are not “refined” enough but while I can see notes of what they say on the taste, “it combines all 5 major brews,” I think they could have been a lot harder on them. Plain and simple, this beer doesn’t have enough flavour to be called good. I wish it wasn’t true, or that I felt differently, but this is just how I feel. 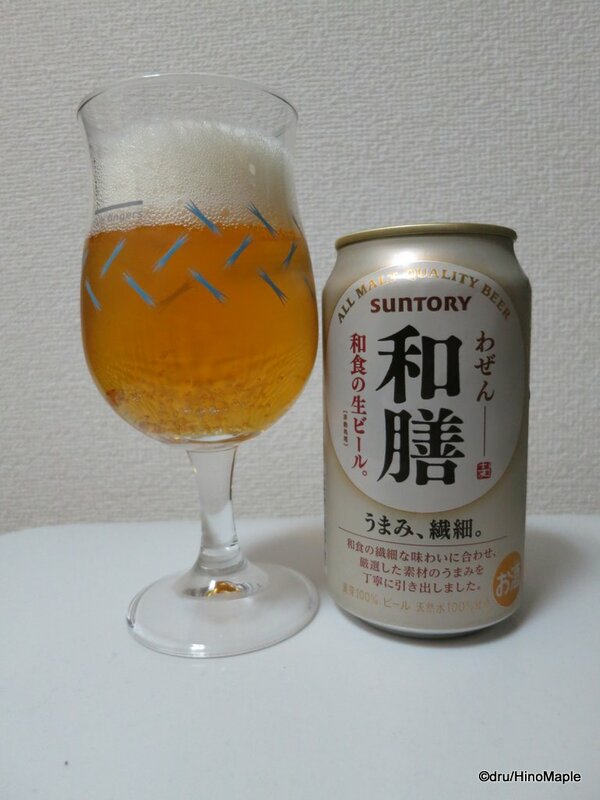 This entry was posted in Food and tagged beer, japan, Japanese beer, Japanese food, Suntory, Wa, Washoku, Wazen, Wazen Beer by Dru. Bookmark the permalink.